Whatever your reason for doing it, removing or reducing animal products from your diet doesn't have to mean sacrificing on convenience or flavour. Nor does it require obscure, expensive ingredients or meat substitutes. By making best use of fresh produce and unlocking the versatility of plants, you can create simple and delicious dishes while knowing that your food choices are helping your health and the planet. 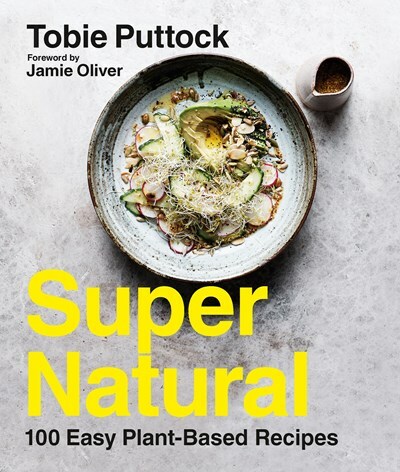 Drawing on years of expertise as a professional chef, Tobie Puttock turns to plant-based cooking to bring you 100 recipes for a reliable repertoire of weekday and weekend meals that are free of meat, fish, dairy and eggs. Easy and satisfying, this is naturally healthy food that just happens to be vegan - from adaptations of classic favourites such as banana bread, shepherd's pie and chocolate brownies, to recipes inspired by Tobie's travels and clever new ways of using everyday ingredients. You don't need a label for the way you eat. You just need SuperNatural.